Come and learn more about the science of unpowered flight with the British Gliding Association (BGA) at the New Scientist Live at London’s ExCel. Take the controls of our two-seater glider simulator with one of our pilots and instructors at our interactive display. 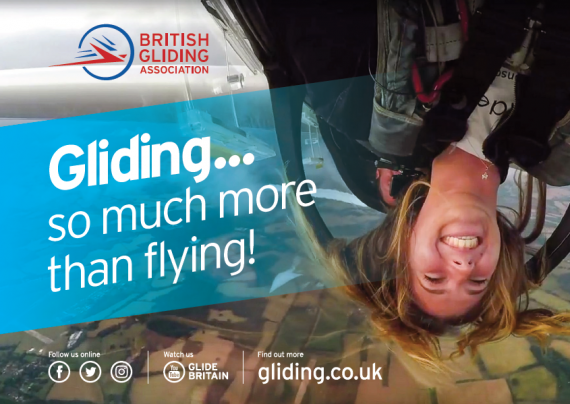 There’s also the chance to win a ‘Discover Gliding’ voucher where you can experience the thrill of gliding for yourself in a trial lesson at a club near you. All you have to do is visit us in the Technology Zone and enter our competition for your free chance to win! Mr Perkins, a senior first officer and trainer on 777 with a major UK airline added: “I began gliding when I was 3-years-old and soloed at the soonest possible opportunity. “Gliding gives a true appreciation of the air and develops superb handling skills that are essential for all pilots. You can now solo a glider age 14 and, if considering an aviation career, gliding is the perfect way of developing technical skills as well as team working and leadership skills that are crucial on a modern flight-deck. Using these invisible currents of air, known as ‘lift’, gliders can soar to great heights of up to 40,000 feet, travel at average speeds of over 100 miles per hour and vast distances of 1,000km all within the UK. Gliding is an inclusive sport and enjoyed around the world by people of all ages and physical abilities, and subject to completing the required training, you can fly a glider solo at 14-years-old. There is no upper age limit. For more information visit www.gliding.co.uk. You can also follow the latest news from the British Gliding Association on Facebook and Twitter.